Hoai joined ICAN shortly after its inception and currently serves as Chairman of the Board of Directors. He has been keen on applying business management practices to help set strategic direction and operational efficiency in the non-profit setting. Hoai has over 20 years of broad-based experience in technology planning, management, systems development, global operations and support organizations. He has been working as Director of Operations for CCIntegration in Fremont, and was previously Senior Director of Information Technology for Broadvision in Redwood City. Hoai received his Bachelor of Science in Finance, Economics and Banking from San Jose State University. Ivy is a co-founder of ICAN and currently serves as its Vice Chair. She is the Executive Producer of ICAN’s popular fundraising concerts and has been active building relationships with other organizations in the community. Ivy also travels to Vietnam to meet with children and families to understand their needs first-hand. She loves art, poetry, and philanthropy. Prior to co-founding ICAN, she co-founded Microstar Engineering Design firm. She received training from Chapman University and currently lives in San Jose, California. Dr. Tuan received his BS in Bio-Chemistry from UC Davis and his Doctor of Dental Surgery from UCLA. He is also a former student of Saigon Medical University. Dr. Tuan runs his own practice (TM North Valley Dental Care) with over 13 years of experience in the field of dentistry, including family, aesthetic and implant dentistry. He is a member of California Dental Association (CDA) and American Dental Association (ADA). He is also a fellow of the International Congress of Oral Implantologists (ICOI) and a Diplomat of American Dental Implant Association. Dr. Tuan writes about dentistry on Song Manh Magazine and Viet Tribune Weekly Newspaper. He is also well known in the Vietnamese-American community for his generosity, both with his time and financial contribution to help nonprofit organizations in the Bay Area. His dedication and love for his high school sweetheart of 35 years who lost her vision shortly after they fell in love have inspired many Vietnamese people, both young and old. They have been happily married for 28 years, and have two children. Dat has been working for Wells Fargo Bank since 1998. He is currently the District Managers for 9 branches in city of San Leandro, Oakland, Alameda, Emeryville, and Berkeley with total of 180 employees. Dat graduated from Cal State University Hayward (currently known as Cal State University East Bay). 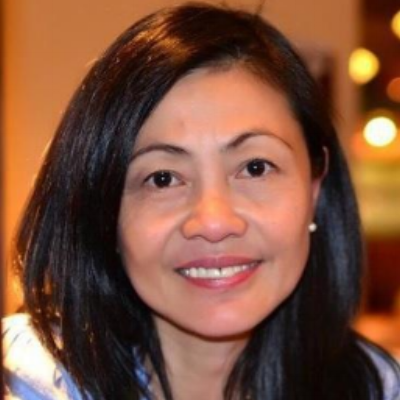 MyLinh currently works as a Loan Originator with BayCal Financial Milpitas II Corporation. She has been an ardent advocate for the community, especially for at-risk women and children. During her short tenure in Vietnam (1995-1998), she worked with an Australian consulting firm to train Vietnamese professionals in sales, marketing and public speaking. MyLinh recently served as President of The Gifted in Fremont, a parent advocacy group to develop the Gifted and Talented Education (GATE) program in the Fremont Unified School District. She grew the team from 10 to 120 volunteers to provide leadership programs to gifted students and help develop them to be compassionate leaders. She received her BA in Math and Economics from Reed College and University of Chicago Graduate School of Business-Scholar. MyLinh loves to travel with friends. She currently lives in Fremont with her husband and two daughters. Helen graduated from UC Davis with a Bachelor’s degree in Biochemistry and Molecular Biology and from San Francisco State with a Master’s degree in Biomedical Science. She takes great pride in her day job as Senior Research Associate at Alector in South San Francisco, working diligently to contribute to the company’s efforts in cancer and neurodegeneration immunotherapies. After a trip to visit her parents’ hometowns in Vietnam, she decided she should get involved in ensuring that children have the opportunity to continue their education regardless of their family’s financial ability and started volunteering with ICAN in August 2017. Despite her original interest being in providing a helping hand to underprivileged students in Vietnam, Helen came to learn much about ICAN’s US-based initiatives to strengthen Vietnamese-American families in our local community, many of whom struggle to find the right resources and now works with the team to raise grant money and awareness for these programs. In March 2018, Helen became the newest member of ICAN’s Board of Directors.